Alyx and I find ourselves with lots of great photos whenever we go on vacation. If we took every picture we love and made prints of them, we’d have thousands, and you would spend days and days sifting through them. So, we need to go through a very painful process of choosing which ones we WON’T post and sell on our website. So, we decided that this Blog was a prefect venue to post some really great pictures from vacations and trips in our past. 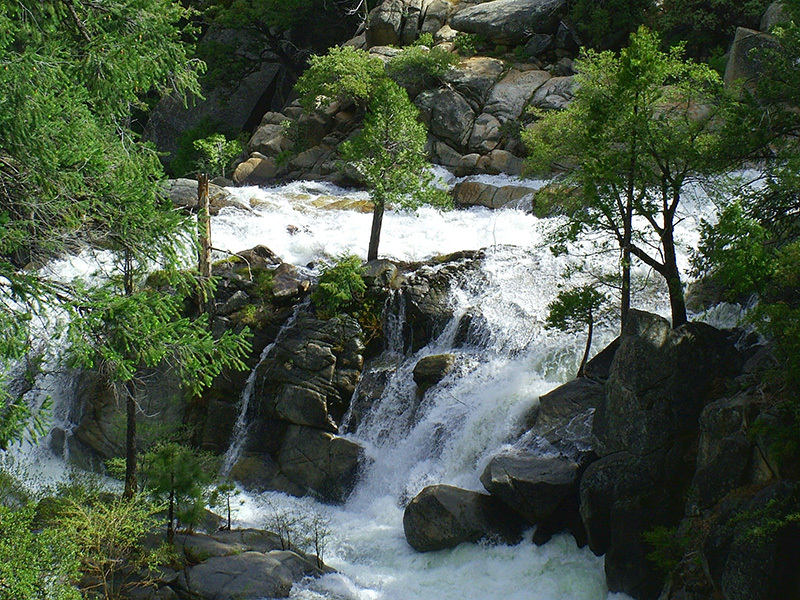 Here are some pictures that were taken by me during a trip to Yosemite Valley for Alyx’s birthday some years back. 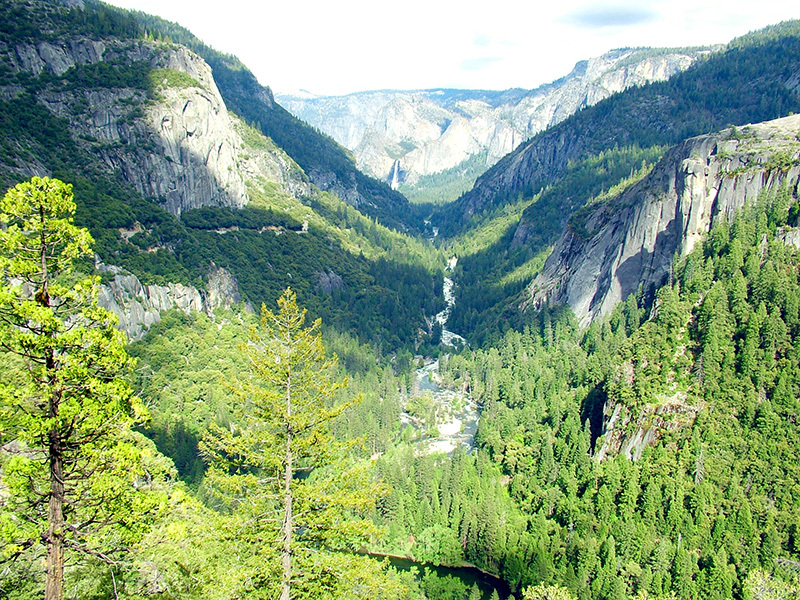 This trip was a single day adventure to the Yosemite Valley. This photo was taken on our way out near the end of the day. I loved the way a few puffy clouds dotted the valley. 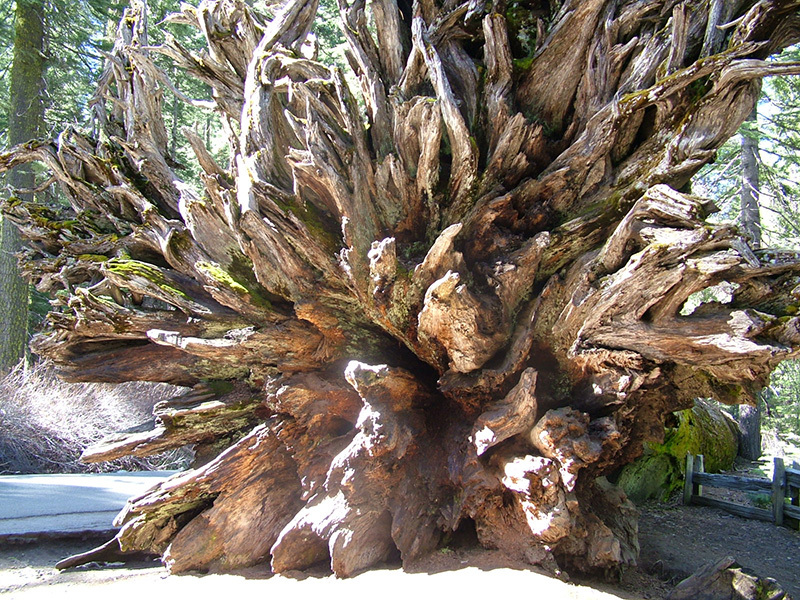 This fallen tree can be found on the south side before you get to the valley. It’s in one of the first hiking trail areas that have some of the tallest redwoods of the Yosemite area (or the world, for that matter). What caught me about this image was the radial patterns made by the combination of the roots and the shadows and light. 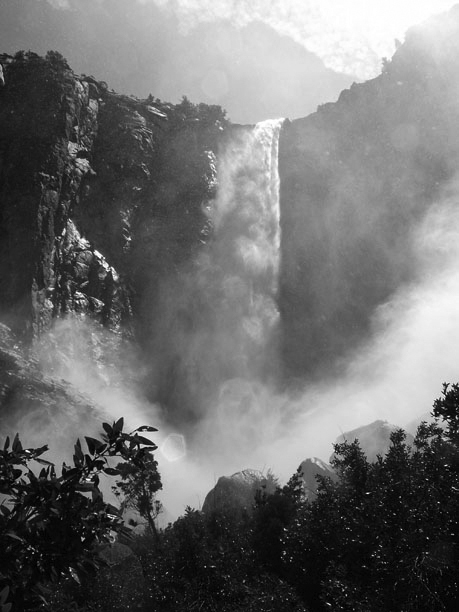 Bridalveil Falls is one of the most popular sights in the Yosemite Valley. We were lucky that this particular spring had a good amount of rain and snow, so there was still a great flow of water in June. We got quite close on this brilliantly sunny day, and the mists made for a wonderfully atmospheric portrait of this majestic waterfall. For those that have never been to Yosemite National Park, what makes it the awesome spectacle that it is, is just the immensity of the rock formations. 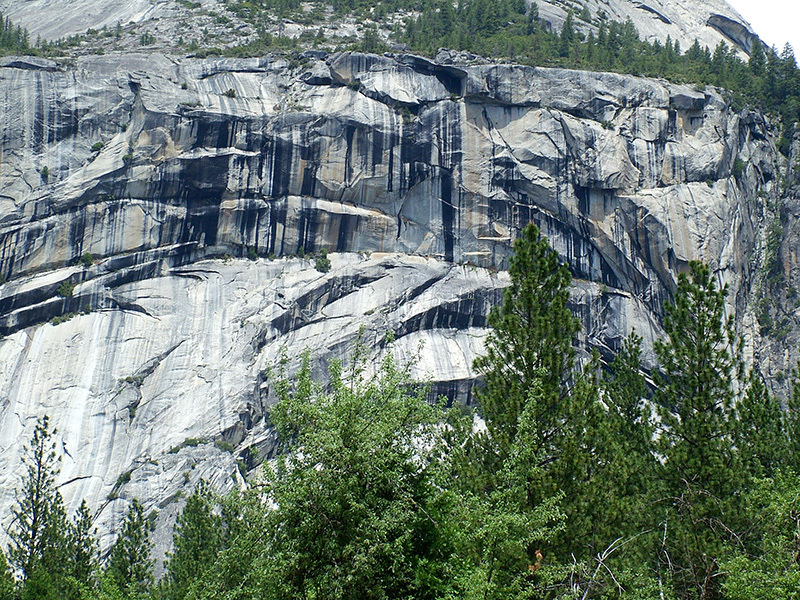 Massive boulders of rock, separated by massive amounts of space (air). 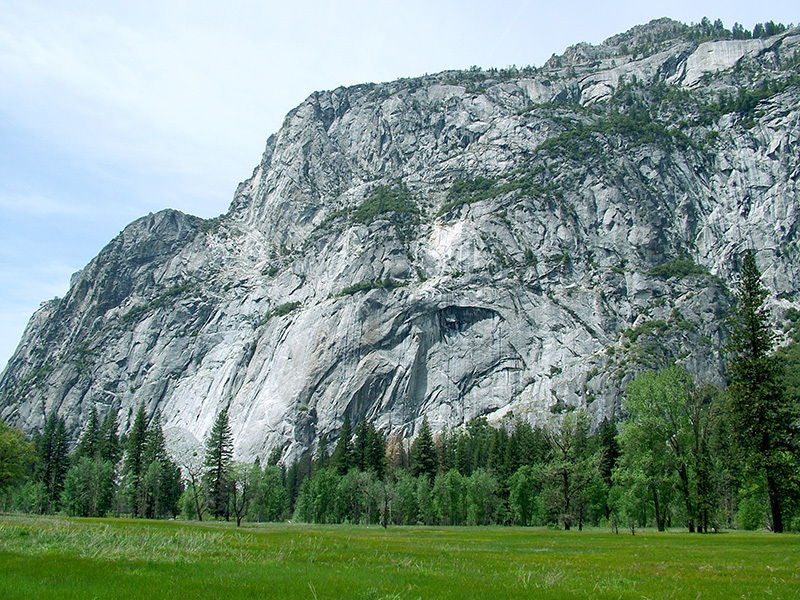 In this picture I tried to show the comparison between the flat expanse of meadow on the valley floor, and then this massive chunk of granite the size of a mountain (which it is), plopped right in the middle of it. Remember, most of the trees you see at the base are about the size of a 5-story building already. Even within the massive formations are infinitely numerous and wonderful forms of nature. The above picture is of the Royal Arches, but I loved how the vertical stripes of the dripping water cut perpendicular to the lines of the arches. 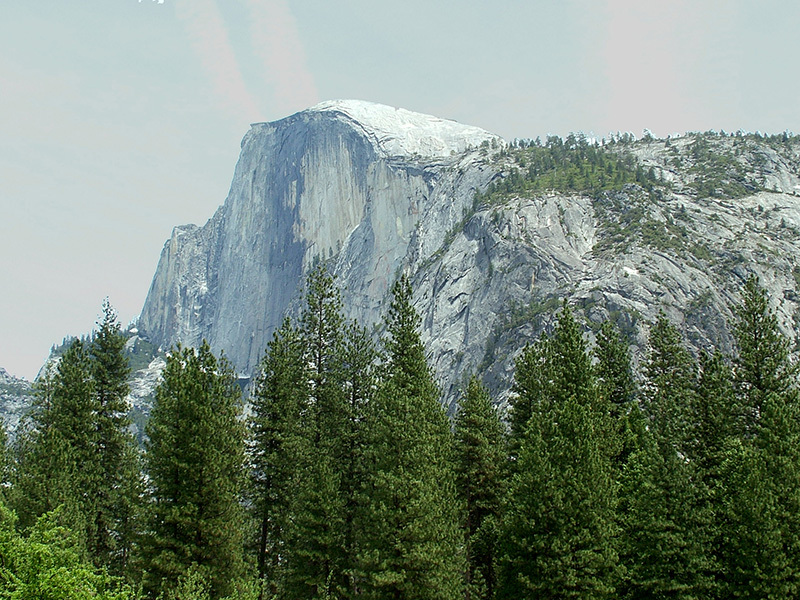 Here is your obligatory picture of Half Dome taken from the valley floor. If you’re ever at Yosemite, it’s worth it to visit the Ahwahnee Lodge. It’s a gorgeous lodge that has nice dining, and of course, awesome views. Even if you don’t stay there, or dine there, you can still look around, learn some of it’s history, and stand in their huge walk-in fireplaces. Seriously, the openings are about 5 feet tall. 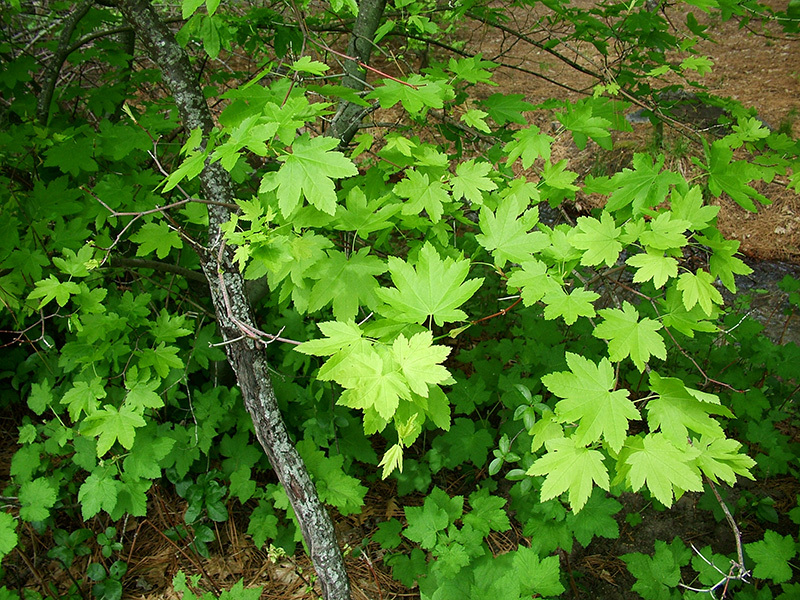 This picture was taken just outside and the perfect leaves and the fabulous green makes this one of my favorite pictures, even though there’s nothing famous about it. As you leave the valley, and I’ll leave the blog with this, there are mini-falls at the side of the road. Some bigger, some smaller, but all beautiful and dotted here and there as you drive. Sometimes it is hard to find a spot to pull over to take pictures and not stop traffic, but there are still plenty of opportunities to do so. Here is one of my favorite little nooks half way up the valley slope. I hope you had a good time taking this mini vacation with me. If you like the photos, be sure to visit our website for more. www.masartwork.com. And don’t forget to comment below, just for the heck of it.